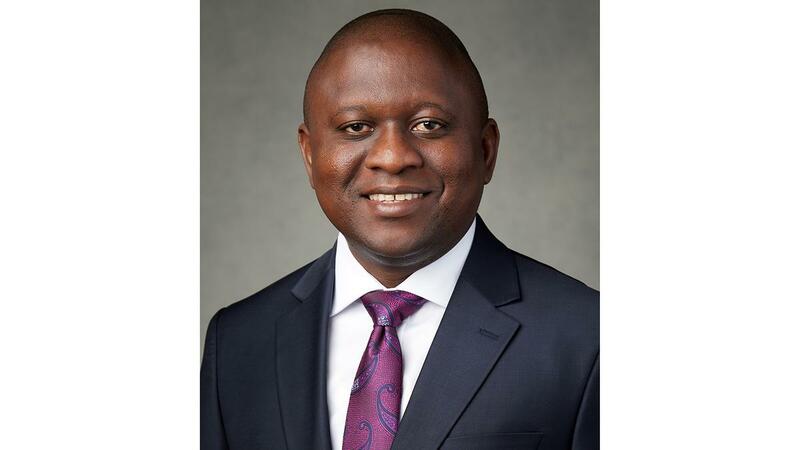 Elder Eustache Ilunga was named an Area Seventy and a member of the Third Quorum of the Seventy of The Church of Jesus Christ of Latter-day Saints at the April 2018 general conference. Elder Ilunga received a state diploma in Latin and philosophy from the Insitut Lwanga and a graduate degree in law from the University of Kinshasa. Since 2000 he has worked for the Church in various capacities, including employment resource services regional manager and senior office assistant of the Congo Mission. He currently works as a service center manager. Elder Ilunga has served in a number of Church callings, including full-time missionary in the Democratic Republic of Congo Mission, ward executive secretary, ward Sunday School teacher, ward Sunday School president, regional employment specialist, and stake president. Eustache Ilunga Mbuyu was born in Kamina, Katanga, Democratic Republic of Congo, on February 22, 1974. He married Mamie Thérèse Muela Mutatayi in 2003. They are the parents of four children. Elder and Sister Ilunga reside in Kinshasa, Democratic Republic of Congo.